Reese Hoffa celebrates his last and longest throw of the Kansas Relays Men's Elite shot put event on Wednesday, April 18, 2012, in downtown Lawrence. 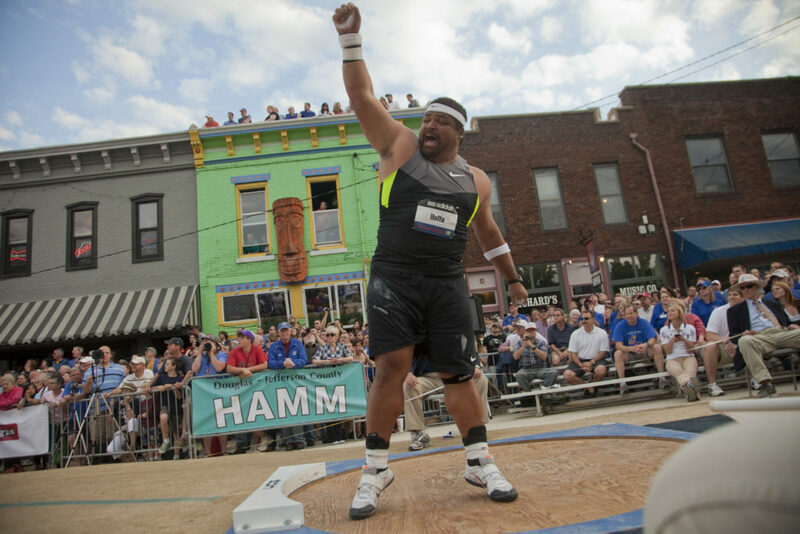 Colorful 2012 Olympic shot put bronze-medal winner Reese Hoffa will test his body — then his mind — in a pair of Kansas Relays competitions Wednesday night in downtown Lawrence. First, the 5-foot-11, 320-pound native of Evans, Ga., will compete in the 6 p.m. shot put competition against a field that includes 2008 Olympic silver medalist Christian Cantwell. Then, immediately following the event, Hoffa will participate in a one-on-one celebrity Rubik’s Cube challenge against Kansas University senior basketball player Kevin Young. Hoffa, a noted speedcubist, has solved the puzzle in a personal-best 38 seconds. 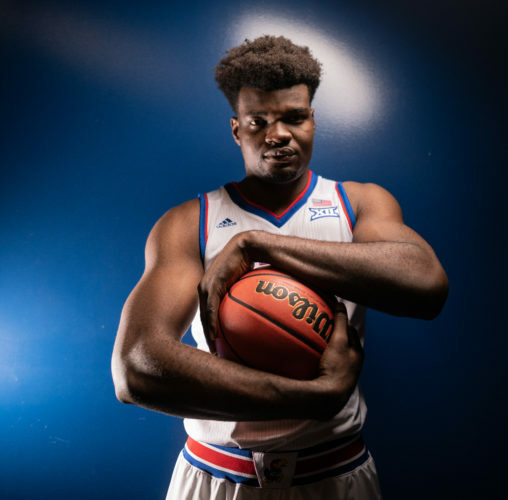 Young, at this year’s NCAA Tournament, fiddled with a cube in front of reporters in the Jayhawks’ locker room and said he’s solved the cube in about two minutes. Relays meet director Milan Donley credits assistant meet director Josh Williamson for brainstorming the idea after learning of Young’s passion for the cube during the NCAAs. KU officials recently checked with Hoffa to see if he’d be game for the celebrity match. The 35-year-old Hoffa, who has said he aims one day to compete in the shot put in a bear suit, has been known to gobble down turkey legs provided by his fans after victories. He also juggles fire and swords and has competed wearing a Mexican wrestling mask. He won last year’s Relays shot put in a throw of 71-33?4. Florida on tap? 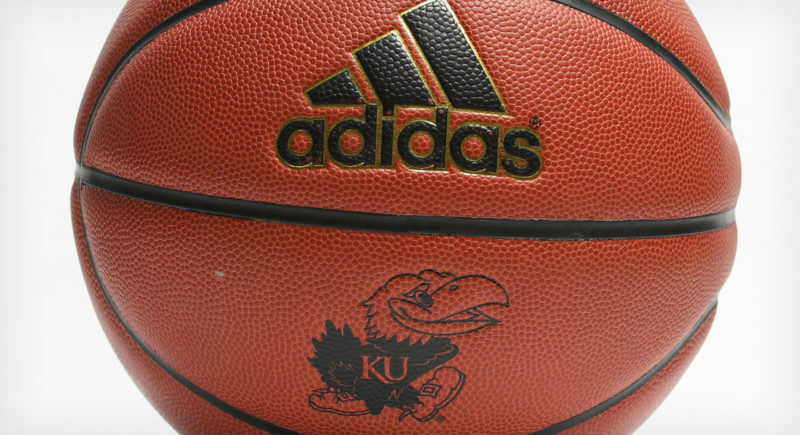 : It looks as if KU’s basketball team will play Florida, not Arkansas, in next year’s Big 12-SEC Challenge. The Palm Beach Post quoted Florida officials as saying, UF will “host an historic powerhouse from the Big 12” next season. 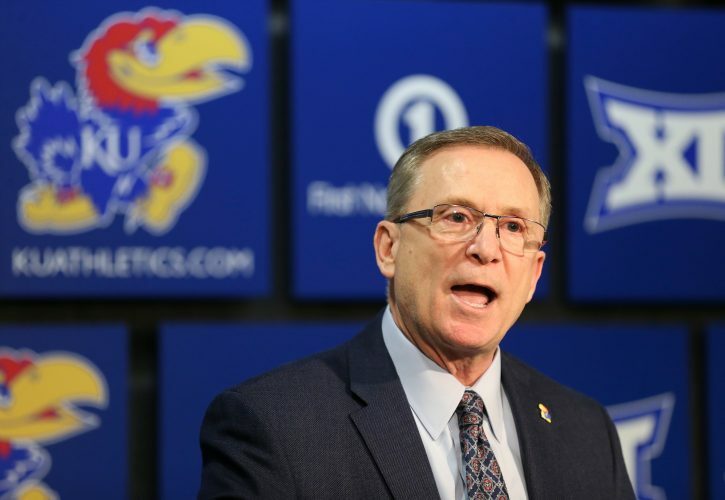 KU officials would not confirm or deny the report, only indicating KU’s opponent in the challenge should be finalized in the next two weeks. 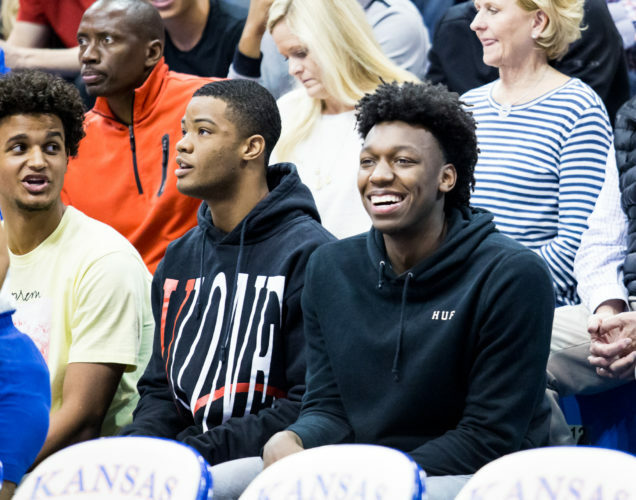 KU will also travel to Colorado next season, play Duke in Chicago and meet Georgetown and San Diego State in Allen Fieldhouse. 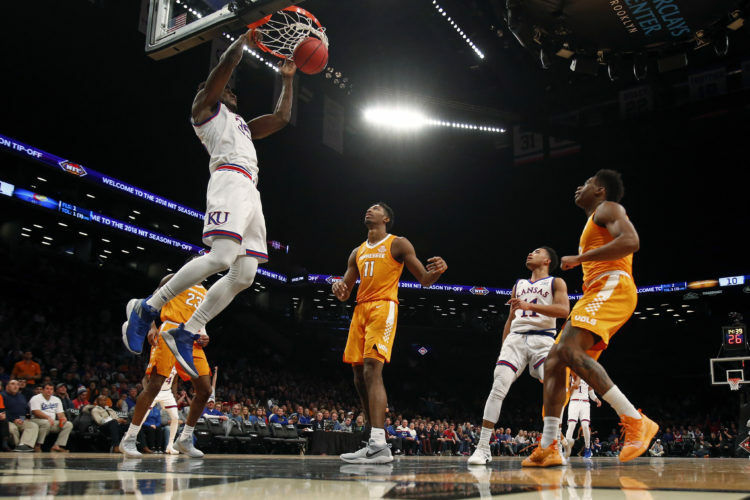 KU will compete in the Battle 4 Atlantis tournament in a field that includes Villanova, Wake Forest, Tennessee, USC, UTEP, Xavier and a yet-to-be-determined squad. Self the speaker: KU coach Bill Self will be a featured speaker at “Leadership Game Changer: Developing Business Champions,” a professional training event May 9 in Atlanta. Leadership Game Changer is produced by Kansas’ multimedia and licensing partner IMG College. For more information visit www.Leadership-GameChanger.com … Self will speak at Eric Berry’s third-annual Man 2 Man event benefiting Big Brothers and Sisters of Greater Kansas City at 6 p.m., April 18 at Arrowhead’s North Club. For ticket information, click here. … Self will receive the Wooden Legends of Coaching honor this weekend in Los Angeles.